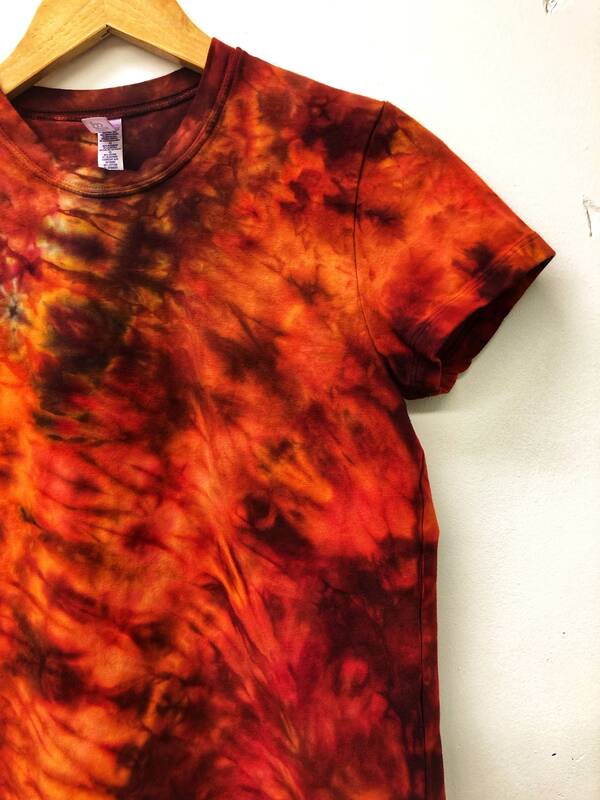 Hand dyed 95% cotton, 5% spandex crew neck fitted tee. Flattering capped sleeves and a slim fit. 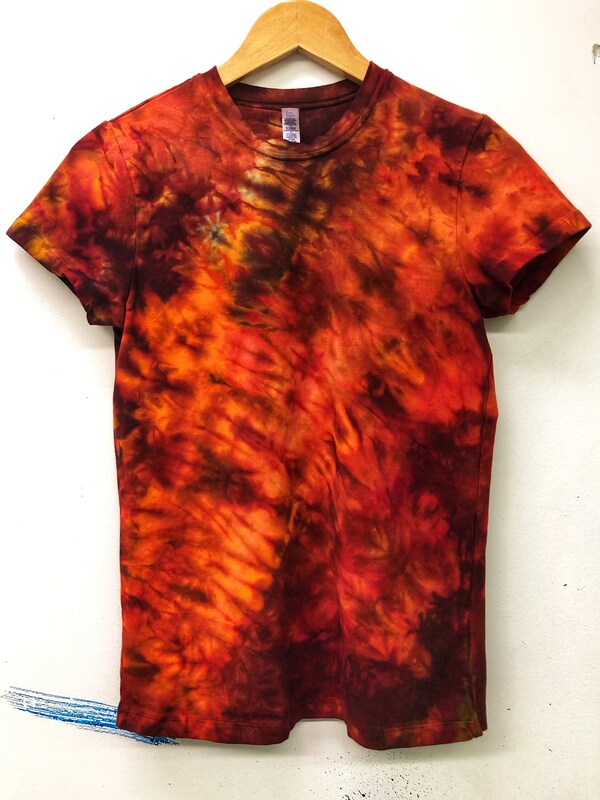 Tie dyed in vibrant fire colors.